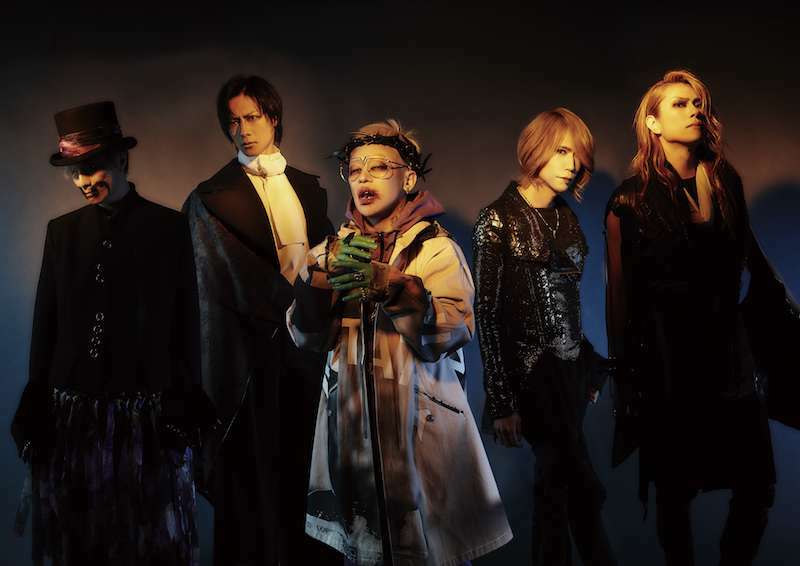 DIR EN GREY - vocalist Kyo, guitarists Kaoru and Die, bassist Toshiya and drummer Shinya - became extremely popular almost immediately upon forming ten years ago, when they caught the attention of the CEO of East West Japan. Their debut was marked by the simultaneous release of three singles, all of which reached the Top Ten. Five albums later, DIR EN GREY added to their international success by solidifying their presence in the U.S. with the 2007 release of THE MARROW OF A BONE. THE MARROW OF A BONE continued to build on the sentiments that had become the band’s trademark over the past ten years and exemplified the band’s technical precision. The CD includes 13 aggressive tracks, where "the production is as crisp as new currency, and the thrash power-riffing throbs like a carotid artery awaiting puncture" (Detroit Metro Times, 2/7/07). Tracks included Agitated Screams of Maggots, the title track of the band’s EP which was released earlier this year as well as CONCEIVED SORROW, THE FATAL BELIEVER, RYOUJOKU NO AME, DISABLED COMPLEXES, THE DEEPER VILENESS and CLEVER SLEAZOID. While singing mostly in Japanese, KYO, via his expressive voice, is able to transition effortlessly from a deep growl to theatrical vocals that transcend language barriers. The Los Angeles Times wrote that "Kyo is a staggering vocalist" and "has stockpiled an extreme range of vocal inflections, from a guttural mutter to a tonsil-ripping scream—no electronic effects needed". In January 2010, the band wrapped up two years of touring in support of 2008's UROBOROS by playing two sold out shows at Tokyo's legendary Nippon Budokan arena. Currently the band are preparing to release a CD & DVD set from these shows, titled UROBOROS -with the proof in the name of living...- AT NIPPON BUDOKAN. It was released worldwide in late May of 2010. In summer season 2010, the band performed at SONISPHERE FESTIVAL in UK and their first shows in Russia. In the States, they did a co-headlining tour with Apocalyptica in North America.